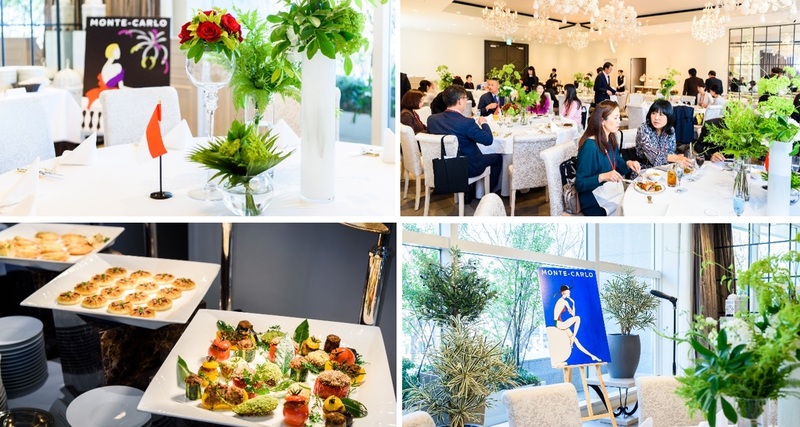 In our role as the Monaco Tourism Bureau for Japan, we held our 2018 Media Launch Event on March 14th at The Strings Omotesando to introduce the new “Green is the New Glam” message for 2018, and attracted over 60 members of the media. The event opened with a Monaco Tourism Movie, followed by a welcome speech by our Director, Mrs. Noriko Silvester. We then introduced our 2018 theme of Responsible Luxury through a presentation by our Press Manager, Ms. Mine Nakao. The presentation included information on Monaco’s rich history, its ongoing initiatives towards energy transition and sustainability, an introduction of touristic ways to enjoy responsible luxury in Monaco, and a preview of the new Green Tourism movie. Following the presentation, we announced our plans for the 2018 year, including the ELLE Café meets Monaco collaborative menu, which will be launched this summer in partnership with ELLE Café, Fairmont Monte Carlo and l’Orangerie. To highlight the collaboration, we setup a photo corner of the “Summer Orange Tea Bottle” in the lobby welcome space, where guests were able to enjoy a first-look of the summer beverage. We also hosted a talk-show between the principal dancer of Tokyo Ballet Company, Mizuka Ueno, and travel expert/model for women’s fashion and lifestyle magazine VERY, Yoshiko Kris-Webb. The two women discussed the lifestyle in Monaco from the aspects of art, culture, beauty, luxury and health. Following the talk-show, guests were able to enjoy a buffet of traditional Monegasque Cuisine and a special cocktail prepared with l’Orangerie liqueur, resulting in several great coverages of Monaco and the 2018 “Green is the New Glam” initiatives in both trade and lifestyle media.